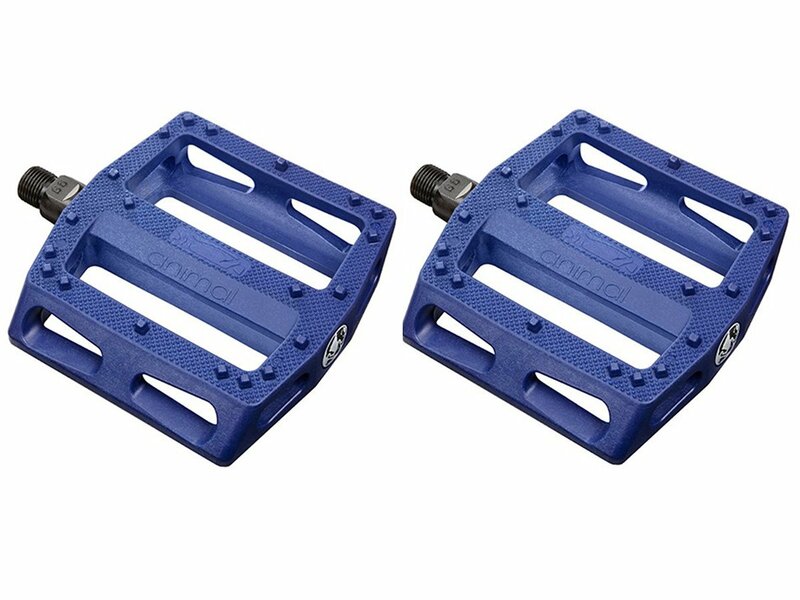 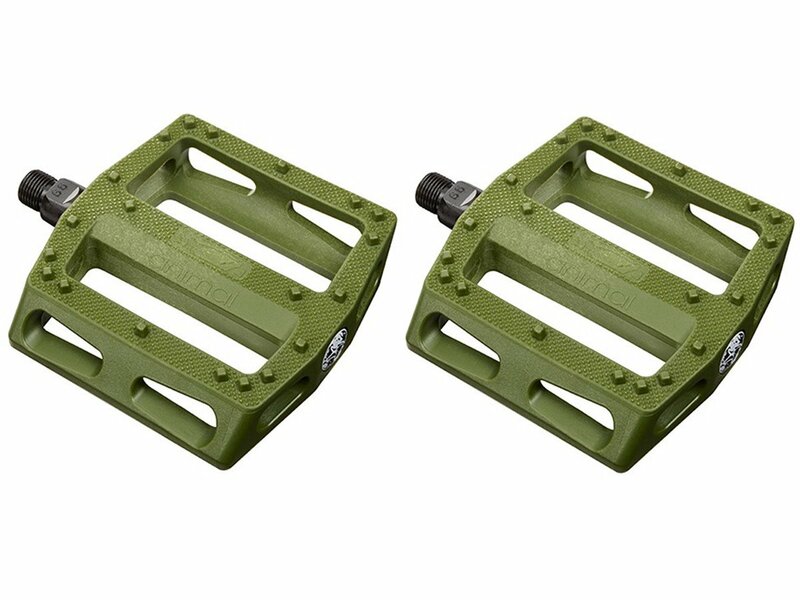 The pedal body of this flat platform designed Animal Bikes "Rat Trap" Pedals is made of durable plastic. 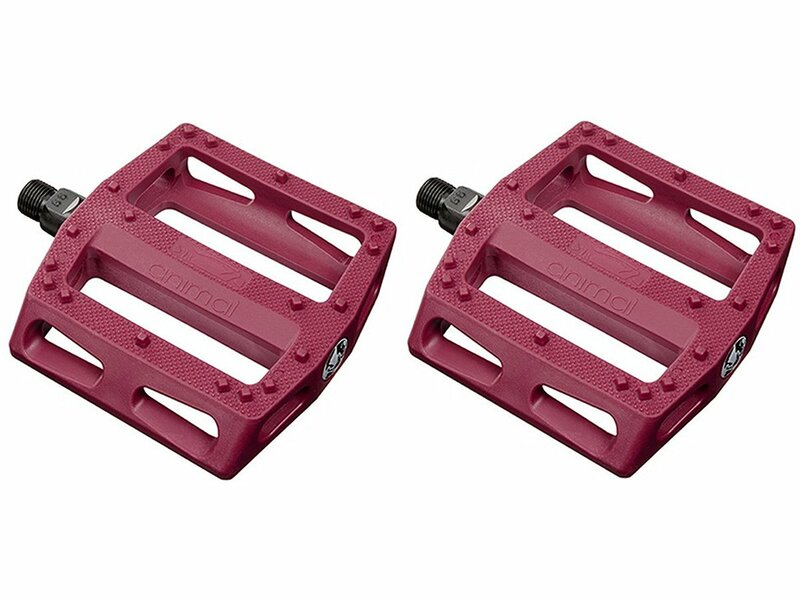 The axle of the Animal Bikes "Rat Trap" Pedals is made of hardened 4130 CrMo. The large pedal body and the additional "Corner" pins provide a comfortable and non-slip stand.